It was not a typical work day at the Dunkin’ Brands headquarters on Friday, September 23, 2011. Instead of computers captivating employees in their cubicles, employees were found dashing down an assembly line filling plastic bags with non-perishable food items as fast as possible in support of The Food Bank’s Back Pack Program. 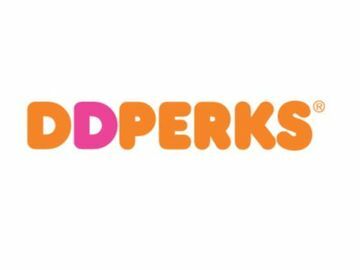 Over 100 Dunkin' Brands employees joined together to participate. 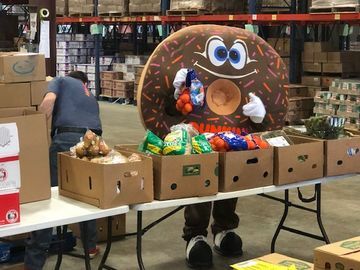 In partnership with The Greater Boston Food Bank and The Dunkin' Donuts & Baskin-Robbins Community Foundation, over 100 Dunkin’ Brands employees came together and volunteered their time. Employees energetically participated in teams with the goal of producing 2,400 backpacks worth of food for children in need. We’re proud to report that employees far surpassed this goal by filling just over 3,000 bags, supplying The Greater Boston Food Bank with nearly one month’s supply of food needed for the Back Pack Program in Eastern Massachusetts. The Back Pack Program of The Greater Boston Food Bank provides nutritious, easy-to-prepare food to thousands of children monthly to ensure they get enough food on weekends and holidays, when they can’t depend on school meals. The Dunkin' Donuts & Baskin-Robbins Community Foundation has been working with The Greater Boston Food Bank since its inception in 2006. In addition to supporting the Back Pack Program, The Dunkin' Donuts & Baskin-Robbins Community Foundation has supported the Greater Boston Food Bank through grants, volunteerism at their facility in Boston and non-perishable food drives at our Corporate Headquarters. 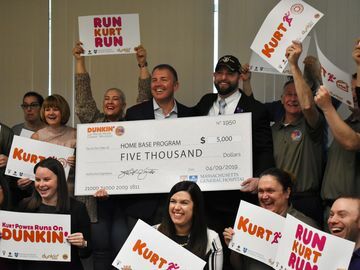 Dunkin' Brands employees far surpassed their goal for the day by filling more than 3,000 bags. The mission of The Dunkin' Donuts & Baskin-Robbins Community Foundation is to serve the basic needs of our communities by providing food for the hungry, safety for our neighborhoods and health for our children. To get involved with The Dunkin’ Donuts & Baskin-Robbins Community Foundation, like our Facebook page.